Recently my greed at the farmers' market prompted me to buy more rhubarb than I had time to fashion into tarts or pie. Instead I turned the stalks into syrup, which I then made into cocktails and sodas. Place rhubarb, sugar, and 1½ cups of water in a saucepan. Bring to a boil, then turn down to a simmer. Cook for about 15 minutes, until the syrup is bright pink. Turn off the heat and allow to cool. Strain syrup into a large jar. 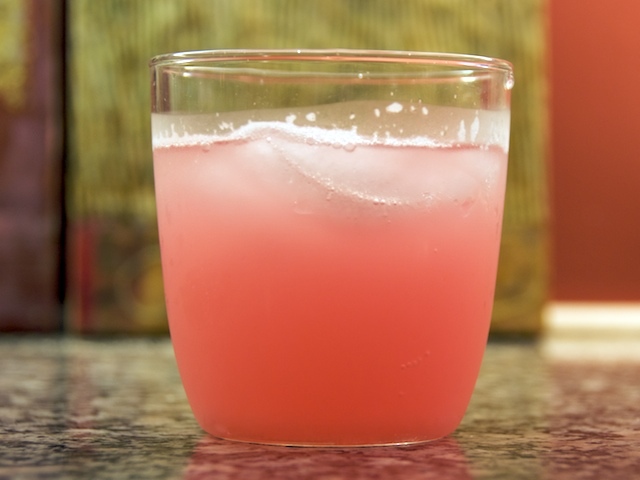 To make each soda, measure ¼ cup rhubarb syrup into a glass. Add enough sparkling water to fill the glass ⅔ full. Stir to mix, then add ice.